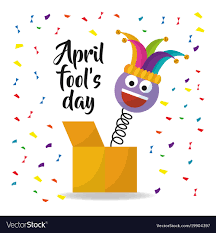 Although today is April Fools’ Day it is no joke that we now enjoy flexible working and many employers recognise the benefits and returns of allowing flexible working, entrusting employees to do their jobs and sustaining even greater achievements as a result. In today’s modern world, gone are the days of 9.00 am to 5.00 pm jobs. With advancing technology and innovative management, the joke is no longer on workers to continuously have to manage a work/life balance with associated pressures. In adopting a flexible working approach, management are contributing to a happier workforce. The days when all jobs consisted of 40 work hours spent in eight-hour chunks Monday through Friday are over. Today, an increasing number of employees and contractors work flexible schedules from a variety of locations and even share jobs. Employees like these arrangements, and they can be advantageous for the entrepreneurs as well. Here are some of the most notable flexible work arrangements and the key characteristics of each. This is the most popular flexible work option with both employers and employees. It lets employees set their own starting and quitting times within limits determined by management. It’s a win-win arrangement. This term encompasses various arrangements in which an employee works from home or some other non-office location. Telecommuting is the most commonly practised example of this type of flexible employment. Job-sharing lets two people share the responsibilities of one full-time position. It’s basically a form of part-time work that provides you with the equivalent of one full-time employee while giving the job-sharing employees the ability to keep their careers on track while allowing more time for family responsibilities or other activities. These programmes are increasingly used by companies that wish to avoid layoffs. It allows businesses to temporarily reduce hours and salary for a portion of their workforce while maintaining the number of employees. Compressed work-week arrangements let employees work 40 hours in fewer than five days. Most commonly, this means four 10-hour days each week. Advantages to employees include an extra day off and lower commuting costs per week. Many employers report higher productivity from employees working compressed work-weeks. Telecommuting employees work from home during some of their scheduled hours. Telecommuters often come into the office one or two days each week. This lets them go to meetings and stay in touch with co-workers. This alleviates our road networks and favours ecological targets. As a result of this ability for each employee, employer and contractor to be flexible, it also means that customer services can be delivered on a flexible basis meeting customer demands at a reduced cost. As an example, Evolution Culture offers change management and training services but we have adopted a flexible way of working – we work on site, we work remotely, we work longer hours, we work shorter hours; we empower internal employees through delegation of tasks which helps their development and we hit targets. The advantage is that we deliver what you need when you need it at a reduced cost reflecting value. If you have a need, we will provide a proposal and will deliver the proposal in full at the agreed cost. No longer would you need to make office space available, offer full-time contracts – it is deliverable based – one fee for one deliverable. Of course, for some assignments it is not possible to provide a one-cost proposal and in these instances we would agree an hourly rate. No longer do we apply day rates or expect full-time working because this simply does not serve the customer and can lead to wastage and additional cost. So, if you have any change management needs or training needs, give us a call – our contact details are available here – we’re flexible. Alternatively, Email us at info@evolutionculture.co.uk. Details on our services are available at www.evolutionculture.co.uk. We look forward to working with you.